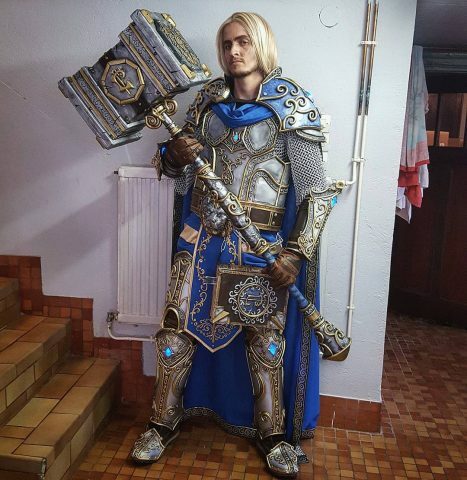 An Incredibly Detailed World of Warcraft Costume « Adafruit Industries – Makers, hackers, artists, designers and engineers! Minana of the cosplay duo known as Minana & Desti Cosplay has come to our attention before with a LED-lit staff she made to go with her World of Warcraft Jaina costume. She’s excellent at capturing details, and she shared that knowledge with Desti during a build for another cosplay from World of Warcraft: Arthas. 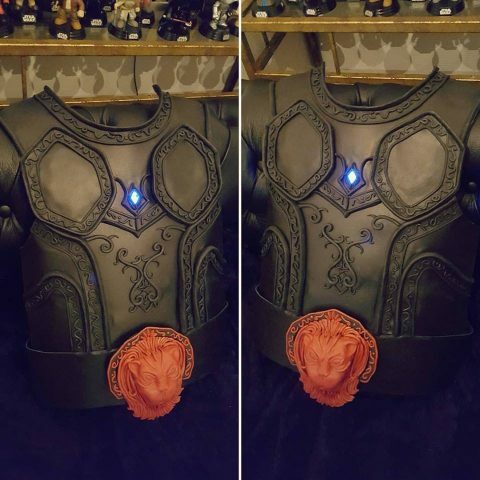 Minana taught Desti to use Worbla to make the armor, and as you can see from the photos above and below, the intricacy of the pattern and depth of the paint job are absolutely stunning. To get the realistic metallic look, they used wax in golden, silver, and antique colors. 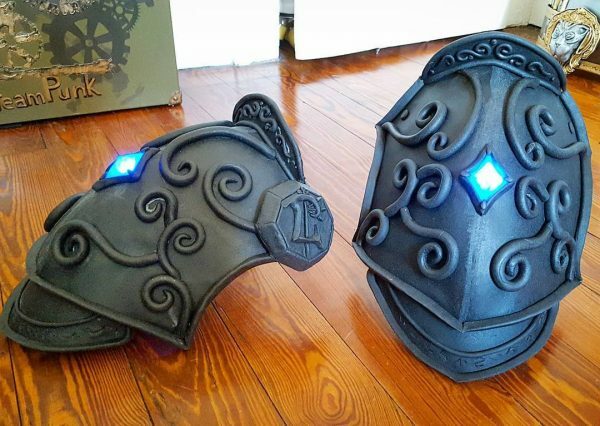 See the armor come to life in this work in progress album on Facebook.